Click here for RealAudio comments by the composer, 4:07. David Heuser (b. 1966) received his bachelor's degree in composition from the Eastman School of Music and his doctorate from Indiana University. His teachers include Samuel Adler, Claude Baker, Joseph Schwantner, David Liptak, Warren Benson, Frederick Fox, Wayne Peterson and Don Freund. He teaches theory and composition courses and runs the electronic music studio at the University of Texas at San Antonio. Before coming to UTSA he taught at West Chester University (PA) and Temple University. Heuser has won various awards, grants and commissions including an ASCAP Young Composer Award, five ASCAP Standard Awards, a First Music commission from the New York Youth Symphony, and the Delius Composition Contest Chamber Music Award. His music has been performed by various groups and individuals and on festivals and conferences throughout the US and abroad. Recent projects include a commission for the SOLI Chamber Ensemble (Catching Updrafts), and Woman Ironing, a work for woman's choir. Michael Souther in the Register-Guard (Eugene, OR) called Heuser's orchestral work Cauldron "an exciting, dynamic tour-de-force." 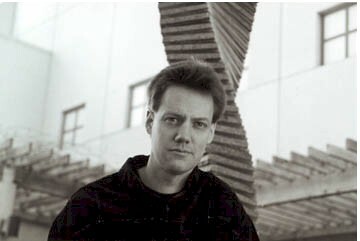 Reviewer Mike Greenburg, writing in the San Antonio Express-News, said of Deep Blue Spiral (saxophone and tape), "With its jazzy solo line seamlessly integrated with the crashing, nervous, streetwise, cop-show adrenaline rush of the tape part, Deep Blue Spiral wanted to be heard in a hip urban warehouse;" the same writer wrote of Heuser's Miniatures for Piano, "All are exceptionally well-crafted, and all contain a lot more music than the term 'miniature' might suggest."